Outfield or outer circle or boundary circle. 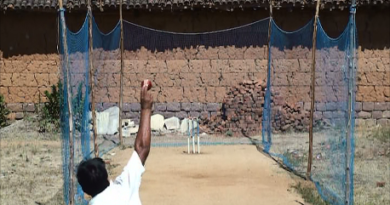 The length of the pitch from wicket to wicket has to be 22 yards. And no less or more than 22 yards should be there. From the center of the pitch the radius of Inner Circle or Infield has to be 30 yards. You can call it as a 30 yards Inner Circle. Relating to boundaries ICC has clear indications and rules. 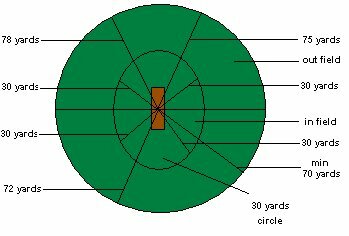 From the center of the pitch the radius of outer circle or the length of the boundary should be minimum 60 yards and maximum 90 yards. In a 60 yard ground we have In circle=30 yards and Out field=30 yards. In a 90 yard ground we have In circle=30 yards and Out field=60 yards. 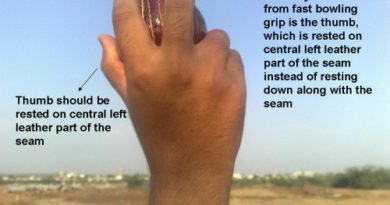 In sub-continent pitches the radius of outer circle or the length of the boundary from the center of pitch generally ranges from 65 to 80 yards. In Australian pitches the radius of outer circle or the length of the boundary from the center of pitch generally ranges from 80 to 90 yards. In small grounds the length of the square boundary from the center of pitch should be at least 60 yards. 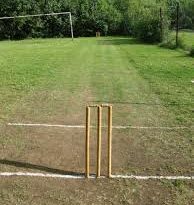 But now according to new ICC rules, new grounds should have minimum 70 yards of radius from the center of pitch, then only they will be recognized for International Cricket Matches.